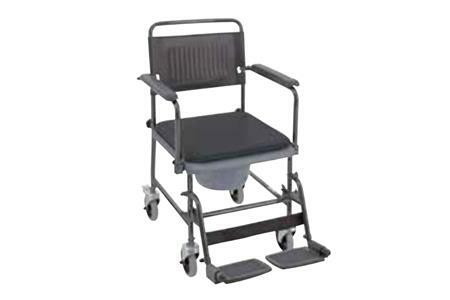 Chair for toilet with painted frame and with 4 wheels, two of which braking. Folding armrests and revolving and removable legrests. Push handle and padded seat cover hole. Complete with bucket and with a capacity of 135 kg.